In commodity trading, profit is alpha and omega. How profitable are your IT investments? 8 out of 10 companies operate with inflexible trading platforms built on past code and use only a fraction of the suite of features they pay for. The solution? Pay only for what you use! An increasing number of industries, which once sold goods, are seeing their business models disrupted as they transition into a service-based economy. With advances in digitalization, Big Data, and AI, this trend is gaining speed. Take cars for example. Your car is probably parked 95 percent of the time. Soon, consumers won’t need to buy a car as car-as-a-service will be much cheaper. How financially savvy is that? Soon, I will be able to order a self-driving car with my smart phone and receive a phone call from a friendly robot, saying, "Hi Yngvar, I have now pulled up in your driveway. If we leave now, we will arrive at your destination 2:45 PM." Who won’t seize the opportunity to dramatically shave their car budget when they only need to pay for the actual time or distance they travel? As consumers, we probably have to wait a while until this type of service reaches the market, but in the commodity trading space, we’re already there. Saas (Software as a Service) has been on everyone's lips since 2001, and today, hardly anything else counts. Although Norwegian companies are lagging slightly behind our Swedish and Finnish neighbors, over the last couple of years the adoption of cloud services has gone through the roof. In 2015, only 50 percent of Norwegian companies used cloud services, compared to 80 percent in 2017. According to the Cisco Global Cloud Index, a staggering 92 percent of all data center traffic will be "Cloud" by 2020. Nevertheless, traders are still using on-premise (locally installed) trading platforms, while only utilizing seven to ten percent of platform functionality. Additionally, when you need to make changes, which will inevitably become necessary for old systems with legacy and old code, costly consultants must be hired. The older systems become, the more complex the problem becomes as access to experts becomes more challenging. Transitioning to cloud based trading platform avoids these challenges and reduces trading software costs by as much as 90 percent, while retaining all the functionality you need. The beauty of cloud architecture is that you can cherry-pick the modules you need – an almost tailor-made experience. Upgrades to newer versions are quick and seamless, integrations with third party applications and scalability are no big issue, and cloud architecture makes the trading platform accessible on any device, from anywhere in the world. What about data security? Truth be told, cloud storage is just as good, or better, than storing data locally. Together with my colleague, Mark Fisher, I have written "The future-proof checklist for your commodity trading platform," which you can download for free here. 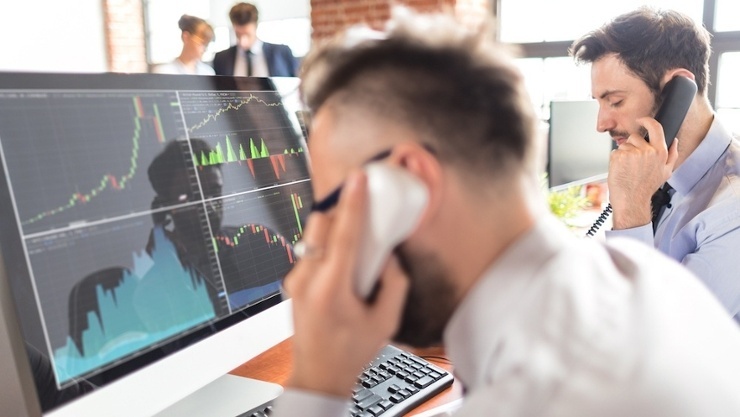 In this easy-to-read guide, I give you the ten talking points you need to discuss with the supplier of your next trading platform to ensure your investment meets the demands of tomorrow's commodity trading market. 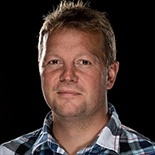 Yngvar is a Senior Developer at eSmart Systems. He has several years of experience in Oracle and Microsoft development environments working with architecture design, UI design, development, support and testing. In addition, he has almost twenty years of experience within Trading and Risk Management systems at Hand-EL Skandinavia, Navita Systems, OM Group and Brady PLC. Yngvar currently works as a Product Architect and System Engineer utilizing Windows Azure, cloud computing, Hadoop, WCF, Windows 8 Store Apps.